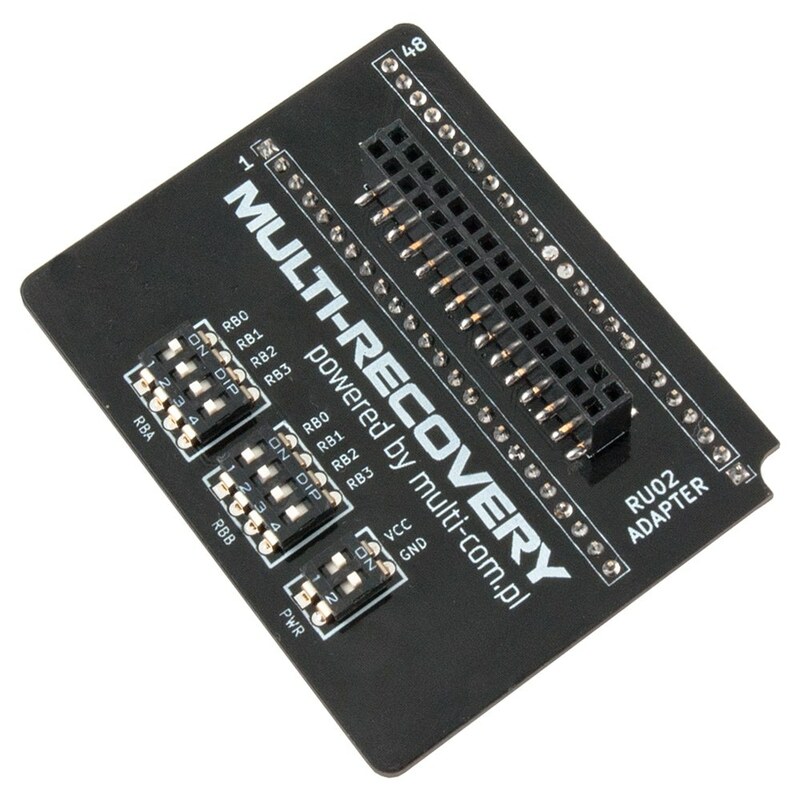 ACE-EMMC converter for PC3000 Flash Multiboard to connect MR EMMC-NAND adapters is an additional adapter that allows you to connect of MR EMMC-NAND series adapters to PC3000 Flash v4 (Ace Laboratory) for reading through NAND. The converter, unlike the standard version, has additional filters as well as the possibility of using two voltages VCC and VCCQ (V2), and supports 4 independent R/B signals. 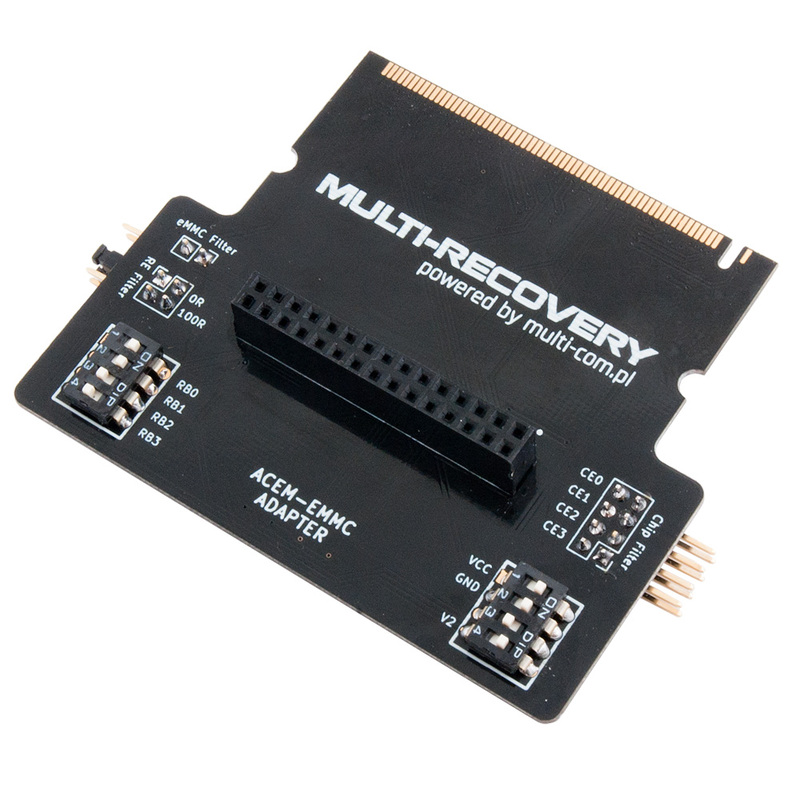 ACE-EMMC converter for PC3000 Flash to connect MR EMMC-NAND adapters is an additional adapter that allows you to connect of MR EMMC-NAND series adapters to PC3000 Flash v4 (Ace Laboratory) for reading through NAND. The converter, unlike the standard version, has additional filters as well as the possibility of using two voltages VCC and VCCQ (V2), and supports 4 independent R/B signals. 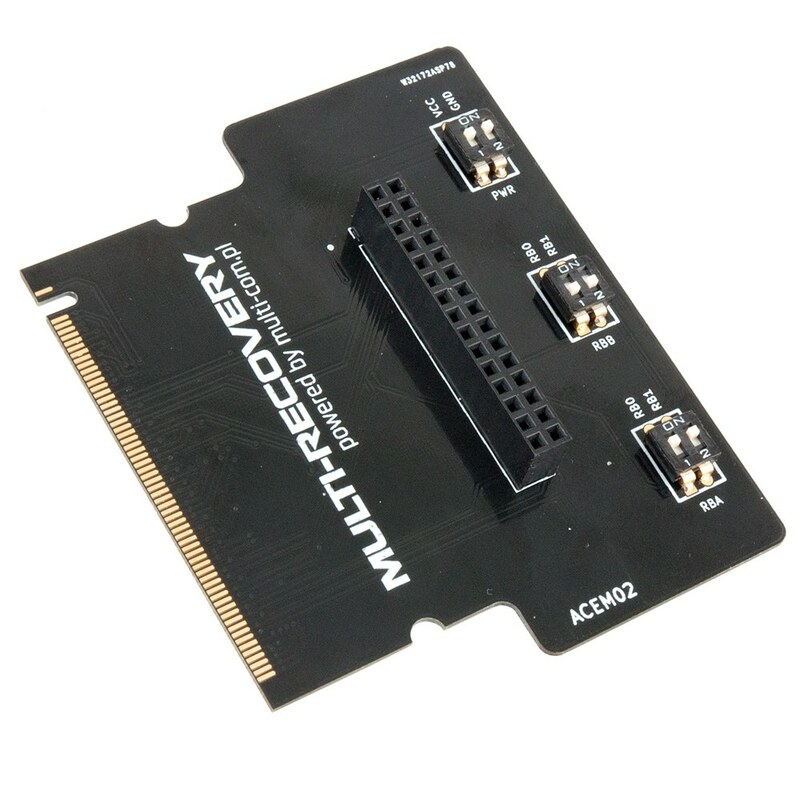 ACE02 adapter for PC3000 Flash to connect MR adapters is an additional adapter that allows you to connect all types of MR adapters to PC3000 Flash v4 (Ace Laboratory) for reading through NAND. 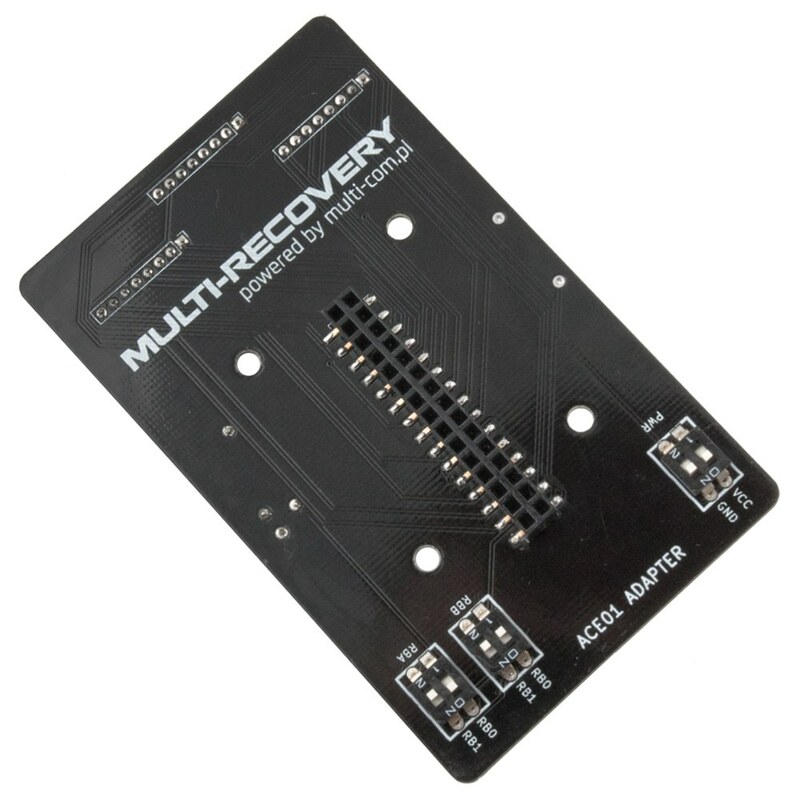 Adapter ACEM03 for PC3000 Multi Board to connect MR adapters is an additional adapter that allows you to connect all types of MR adapters to PC3000 Flash Multi Board (Ace Laboratory) for reading through NAND. Adapter Converter from VNR to FlashExtractor 8 / 16bit allows you to use your NAND BGA / TSOP / LGA adapters from VNR for readings via NAND Reader (Flash Extractor). 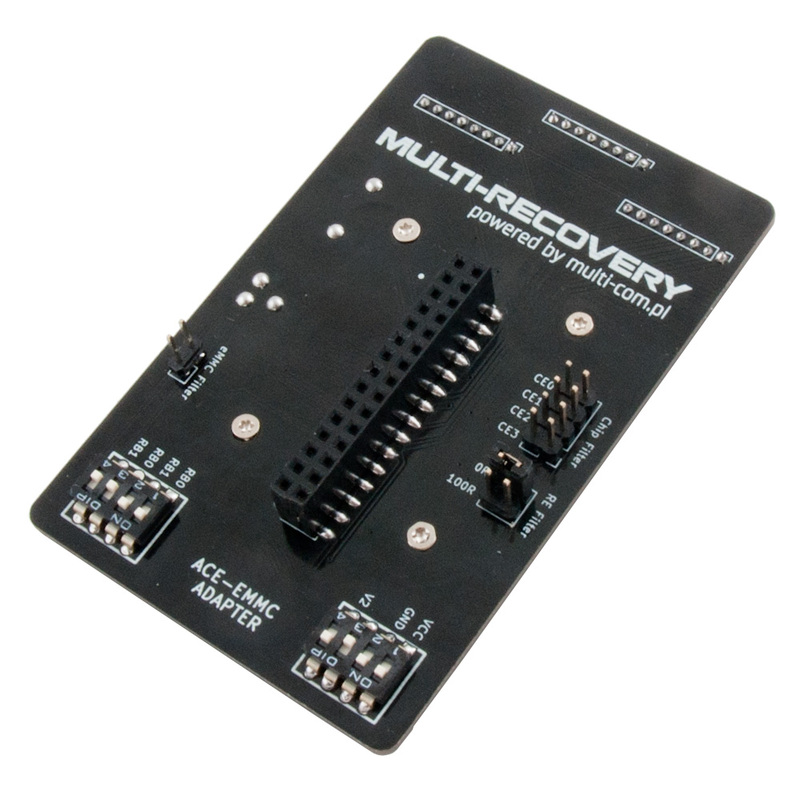 Thanks to such a converter, we eliminate the need to duplicate adapters in order to connect them through various devices. 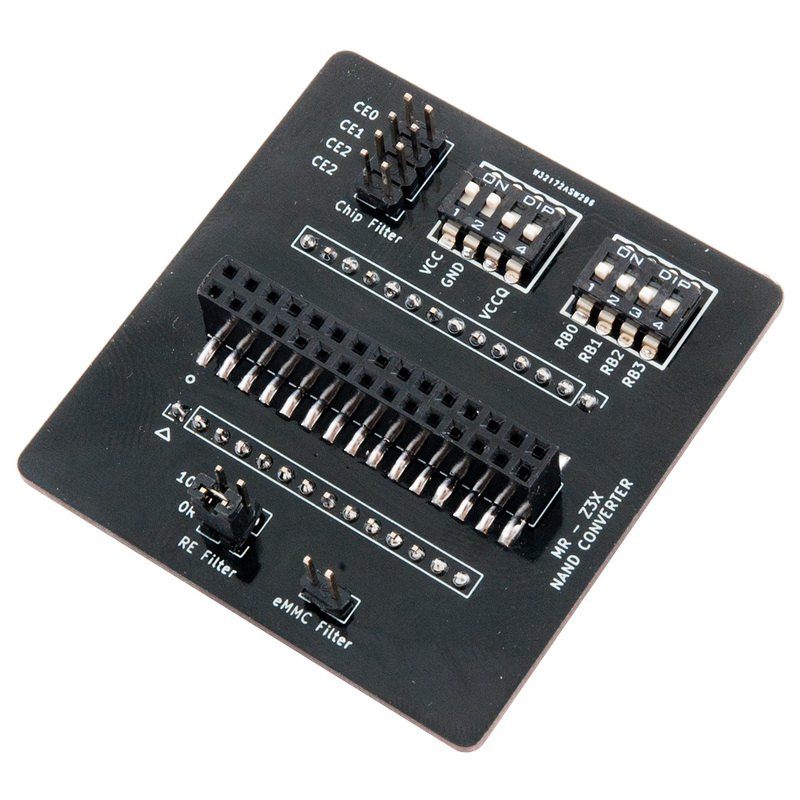 Adapter UNI PRO for FE02, RU02, ACE02, ACM02 allows you to use existing MR connection adapters for PC3000 v4, VNR Rusolut and Soft Center Flash Extractor to connect monolithic cards to which there are no-soldering MR adapters available. 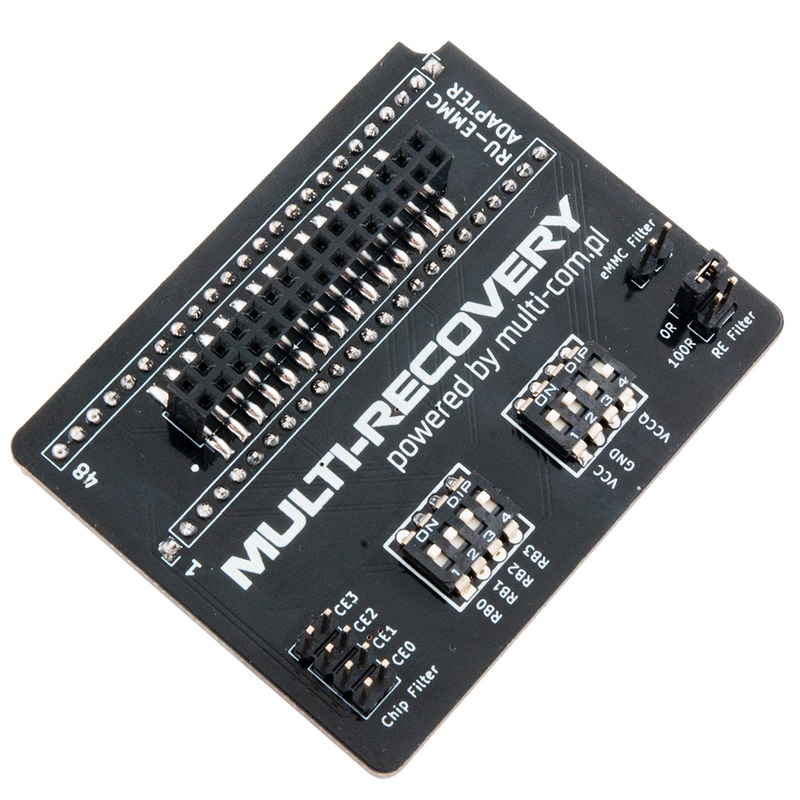 Thanks to the adapter, all you have to do is solder the card only once and then you can connect it to different devices. 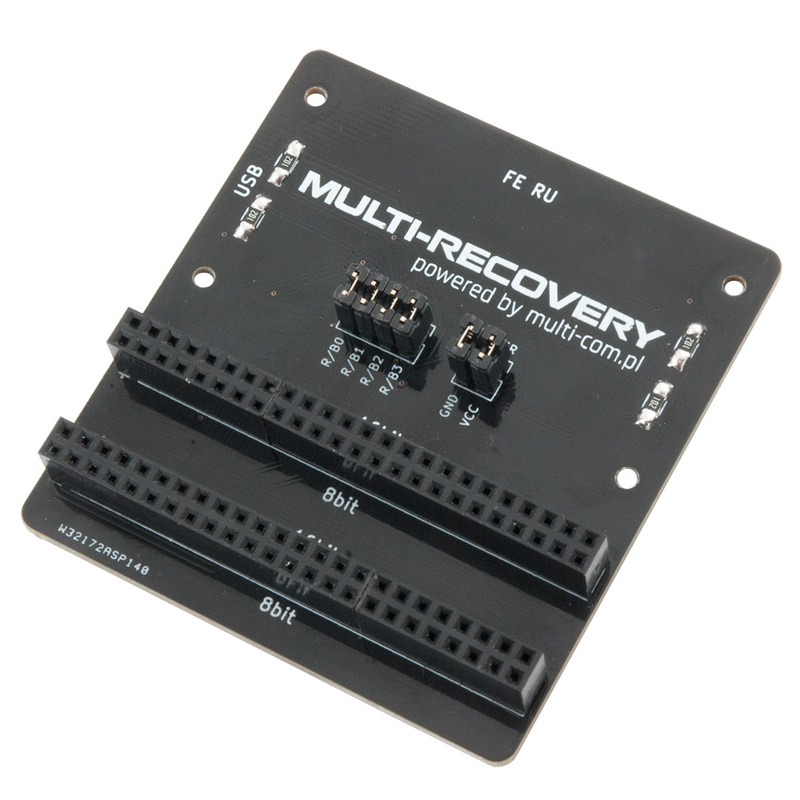 In addition, the adapter has outlets for connecting the logic analyzer and the SD interface for easier signal analysis. 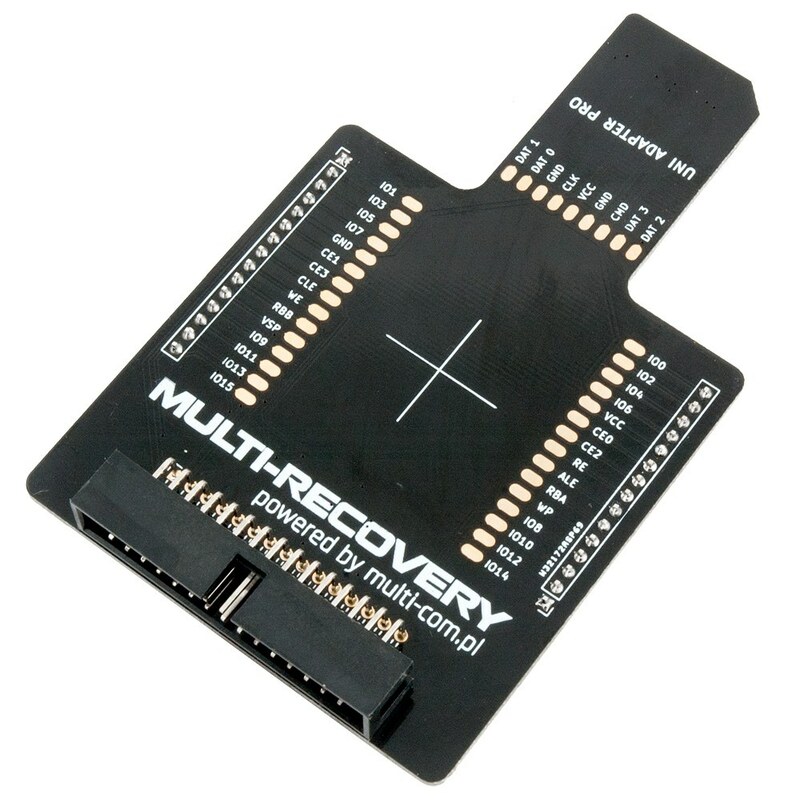 FE PRO adapter for Flash Extractor to connect MR adapters is an additional adapter that allows you to connect all types of MR adapters to Flash Extractor (SoftCenter) for reading through NAND using fixed VCC. 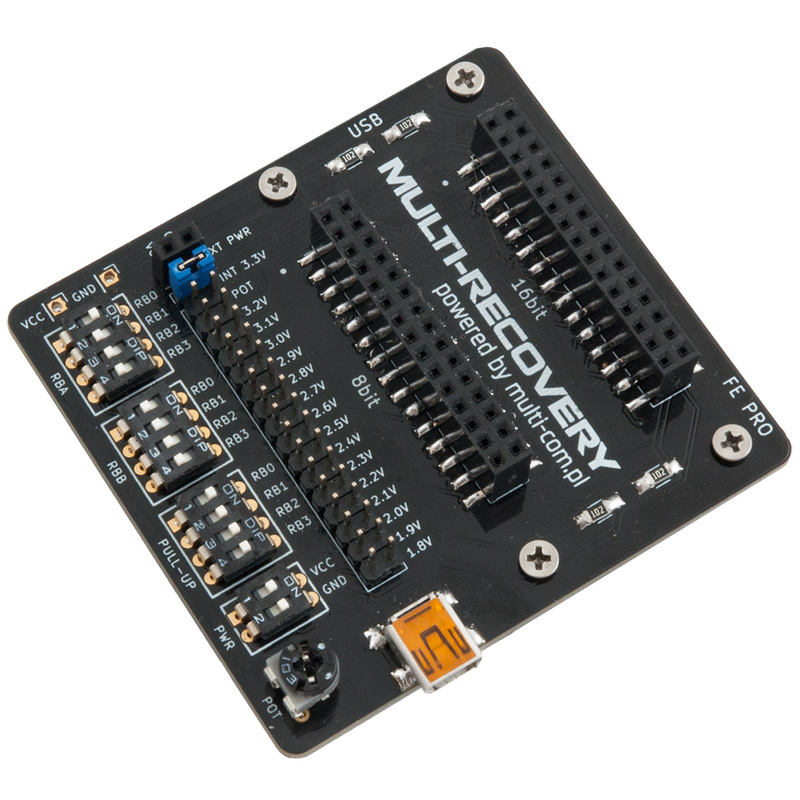 The adapter has a built-in adjustable VCC voltage in the range of 1.8V to 3.2V (jumper) and 2.0V to 3.6V (potentiometer), powered from the MiniUSB 5V port - this allows to easily see and fix errors on NAND ECC on chips that require lower voltage. 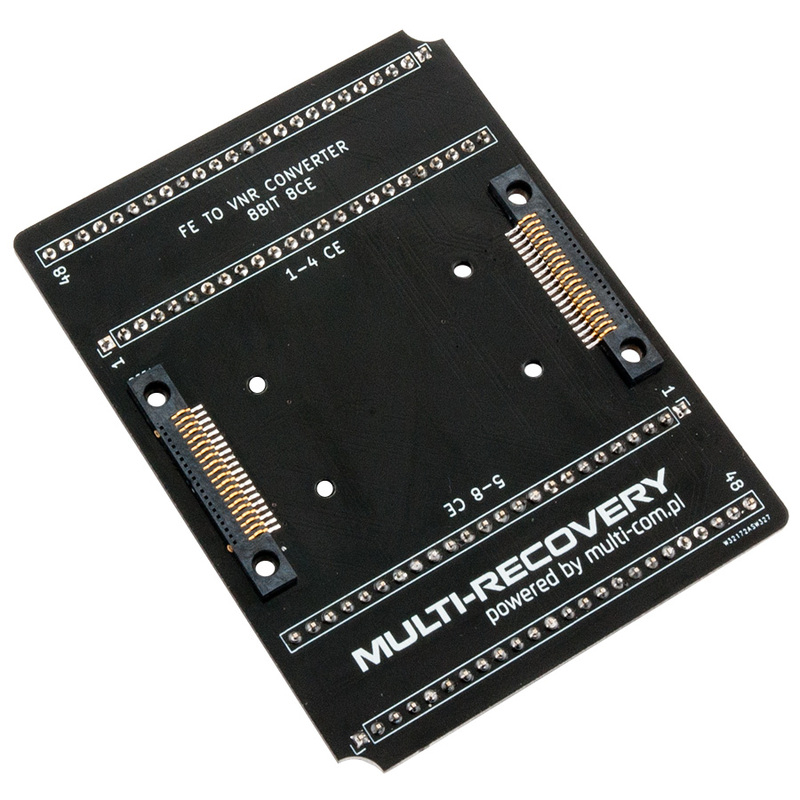 The adapter also allows powering the memory with 3.3V voltage directly from the Flash Extractor NAND reader. 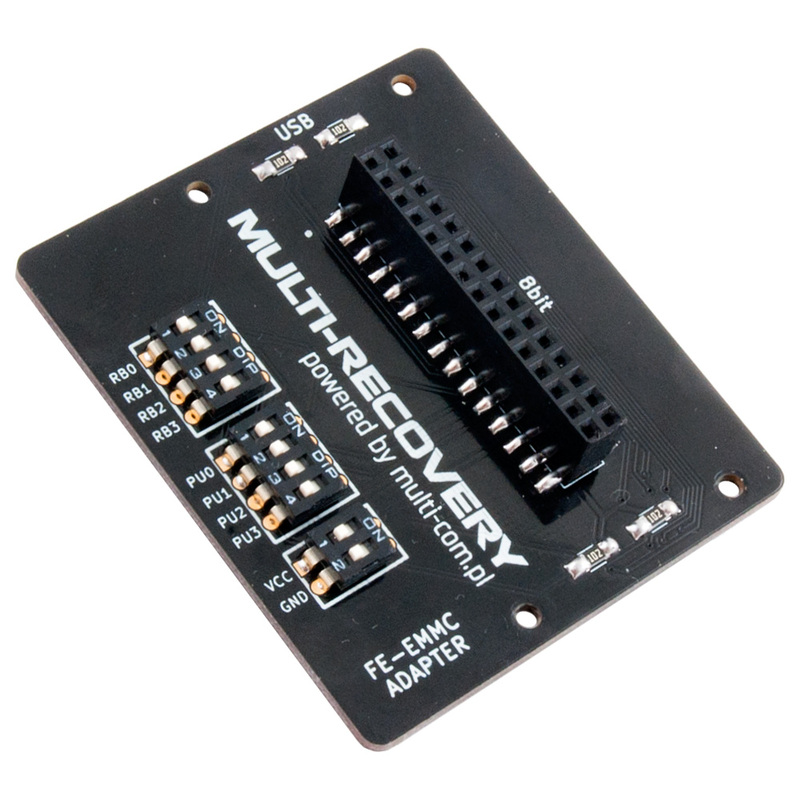 FE-EMMC converter for Flash Extractor to connect MR adapters is an additional adapter that allows you to connect of MR EMMC-NAND series adapters to Flash Extractor (SoftCenter) for reading through NAND. The converter, unlike the standard version, supports 4 independent R/B signals and 8bit transmissions. FE04 adapter for Flash Extractor to connect MR adapters is an additional adapter that allows you to connect all types of MR adapters to Flash Extractor (SoftCenter) for reading through NAND. 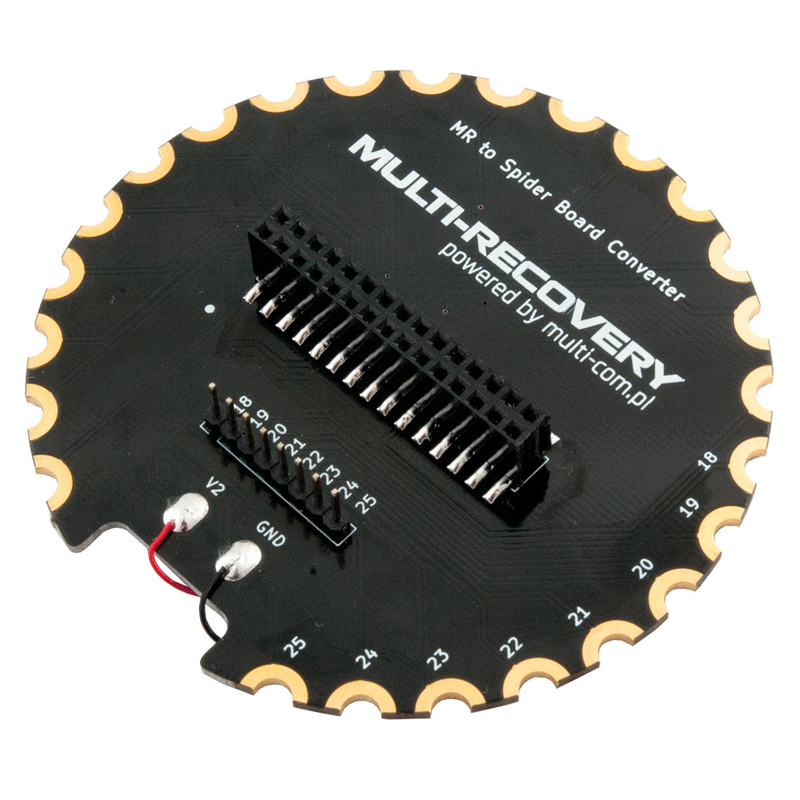 MR-Z3X NAND converter for Easy Z3X Plus compatible with MR series adapters enables the use of MR series adapters (microSD, SD, eMMC) for reading via Easy Z3x Plus. 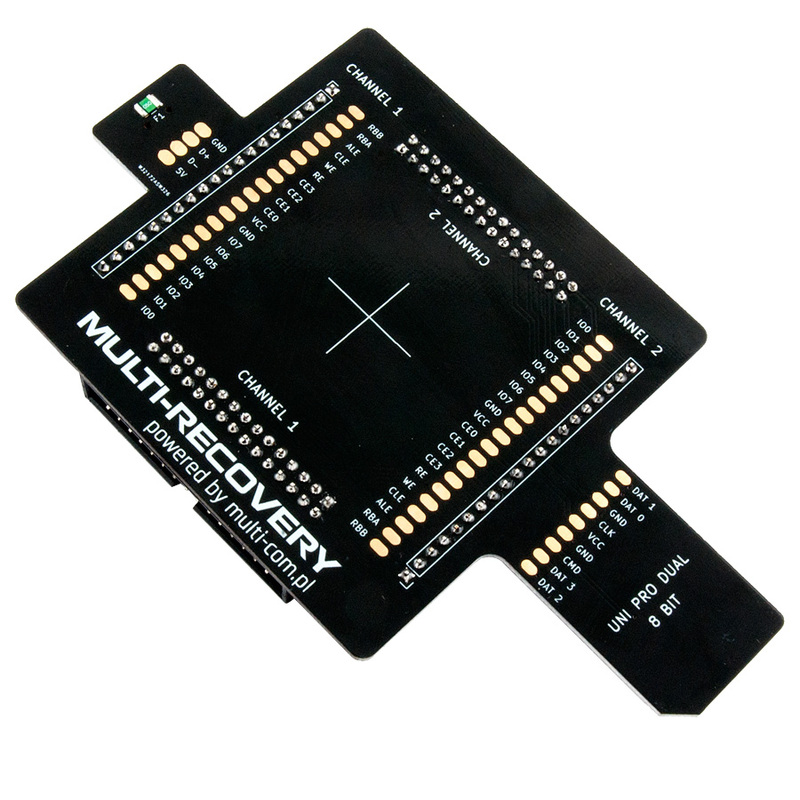 RU-EMMC converter for VNR Rusolut to connect MR adapters is an additional adapter that allows you to connect of MR EMMC-NAND series adapters to Visual NAND Reconstructor (Rusolut) for reading through NAND. The converter, unlike the standard version, has additional filters as well as the possibility of using two voltages VCC and VCCQ, and supports 4 independent R/B signals.